Last year's Mr. Harriton theme. What will this year's theme be? Over the past 11 years, Mr. Harriton, a charity event, has garnered a reputation for positive community involvement. Students, administrators, and faculty have worked year after year to create a show and brand that consistently sells out its $15 tickets, raffles, and corporate sponsorships. In the past few years, it has earned over $30,000 for charity. This year, however, LMSD administration has put an end to the “Mr. Harriton” moniker. In accordance with its strategic plan for gender inclusion, LMSD directed Student Council to change the name to something gender neutral arguing that, despite the Title IX status of Mr. Harriton outlawing discrimination on the basis of gender, the name discourages students who do not identify as male from competing. Historically, women have participated in all aspects of production and in the show as partners to the 10 male contestants but not as contestants themselves. If this is the new standard, where does it end? Do we need change “Boys Football” to “Football” to protect girls’ who may want to play on the team? Do we have to change “Girls Volleyball” to “Volleyball” to protect boys Title IX rights? Changing Mr. Harriton’s name has many implications that we as a community need to consider. The intention of changing Mr. Harriton’s culture to encourage female contestants is only valid if it is shared by the student body. The school missed an opportunity to teach a real-world lesson: cultural change happens with conversation and collaboration between the government and the governed, not through issuing ultimatums. The administration opened a dialogue about name changes with Student Council early in the year, but when no progress towards a name change was made in the interim, administrators ordered last week for the name to be changed. Administrators did not give enough guidance on how to change 11 years of institutional tradition. A new name is a shortsighted, reactionary solution to the event’s perceived problem of gender exclusion. Non-male students won’t be encouraged to join if only the name is changed because the show’s entire concept is male-oriented. Mr. Harriton pokes fun at masculinity and established gender roles by embarrassing male contestants on stage having them dance and show their talents in a in a mock beauty pageant. 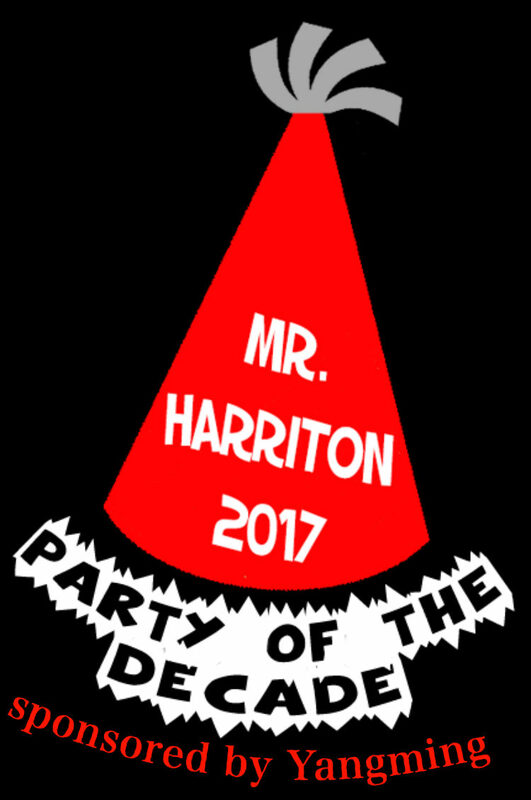 Yes, Mr. Harriton was made for “Mr.” contestants but it is a satire on masculinity, not a sexist and unequal celebration of male students. This is where the administration has missed the point—or maybe the issue is far more shallow. There is reason to believe that the name change is nothing more than a political correctness grab. According to the Gender & Sexuality Alliance (GSA), which has had frequent conversations with school principals on gender equality and other such matters, the administration consulted a Penn gender specialist regarding ways to implement progressive policy and chose the easiest to implement suggestion she gave. The GSA is fighting back because they don’t want credit given for progressive ideas that might look politically correct, but don’t really accomplish the end goals. If it is true that the administration seeks to change a culture around Mr. Harriton, they will need to do more work than a simple name change. The saying goes that “if it ain’t broke, don’t fix it.” Why mess with a tried-and-true concept that has become a lasting Harriton tradition? At this point, a week before the first rehearsals, the time has passed to create a new show and brand. Nonetheless, if the show continues under a different name, the greatest risk comes if we fail through lack of effective publicity to get people to embrace this new brand. In the worst case, people won’t know to attend, businesses won’t know to support because of confusion surrounding the new brand and thus we lose out on raising the most amount of money for charity, which would be a shame. We have an obligation to the stake-holding businesses, organizations and charities that depend on our event. Let us not forget our end goal of bringing our community together to successfully fundraise. We might as well keep the name Mr. Harriton for this show and save this conversation for next year when we can take the time to make a change that will satisfy our goals of school spirit and giving to charity. Sure enough, as of the time I’m writing this, all but one person who has signed up for this year’s gender-neutral, tentatively named, “Harriton Student Council Charity Show” are male, showing that culture surrounding the event hasn’t changed with the new name. In the end, we all must remember that our ultimate goal to raise money will be hindered by a short-sighted name change, hasty planning, and a Student Council that has never been given the tools to induce this cultural shift.